You plan your holiday, researching finer details, checking out weather forecasts. But one thing you never factor in is the rude people you encounter on your trip. I have to say, invariably they are taxi drivers. Take for example, my recent trip to Fort Lauderdale. My plane landed at about 8.45pm. We had to wait on the runway for over an hour for a gate to be free for the plane to pull into so we could disembark. Then another hour for the bags to slowly get spit out onto the conveyor belt. Factor in a ten hour flight and as you can imagine, my patience levels would not be the best. Finding a taxi was not the easiest, which was surprising. Signs for a taxi rank were not noticeable. When I asked a staff member to point me in the drection of the taxi rank, she gave a big sigh and pointed me in the direction of the 'shared ride' area, irritation seemingly dripping off her finger. I trudged all the way there and waited a while, eventually noticing that taxis were driving past and stopping off where the irritable lady was standing, still sending people to the wrong area. I headed back to where the taxis were stopping and managed to grab a taxi. All was well until we went through a toll and the taxi driver turned around and held his hand out, "Gimme $1.50 for the toll." I replied that I had only just arrived, it was nearly midnight and I didn't have any American money on me. He shouted at me. Yes, you heard right. The stupid taxi driver shouted at me! 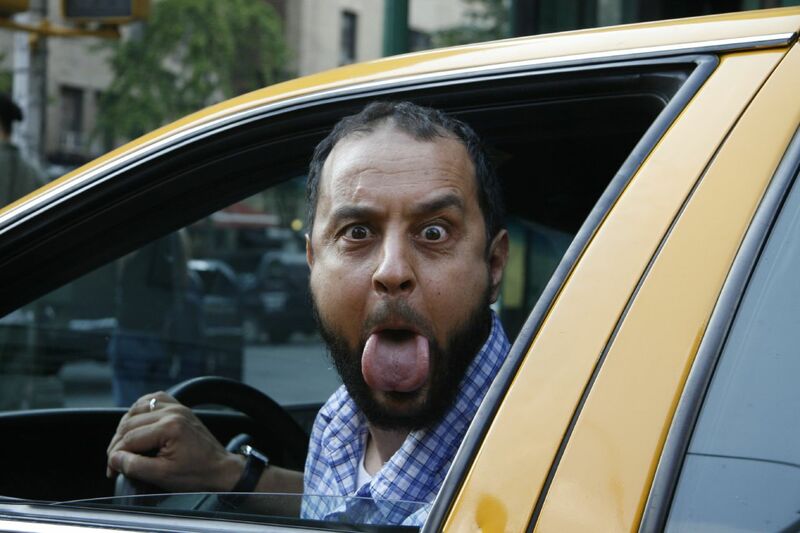 He asked me how I dared climb into his taxi cab without cash! I was shocked. I pointed out that he had a card machine in his cab. "It's not *!#* working!" he shouted, "Now I have to take a detour to find an ATM so you can draw out cash!" To say I was gobsmacked, was quite an understatement. I had encountered rude people on all of my travels, but this guy was definitely the worst! He stopped at an ATM, I drew cash, and when he eventually arrived at my hotel, I saw that the meter said $43.50. He turned around to face me, and said that with the toll added on I owed him $50. Now I am no mathematician, but I know that 43.50 + 1.50 does not equal 50. But, it was midnight, I was exhausted so I gave him $60, as the ATM only issued twenties. He then told me that he didn't have $7 change! In my exhaustion I shook my head to make sure I heard right. "$7 change?" I asked. Somehow, the $50 which was already an overcharge, had changed to $53! He pulled out some notes, showing me a $5 and a $10 and said he didn't have $7 and would have to drive off to get change. I knew when he drove off that he would never be coming back again. Ripped off! What a welcome to America! The other taxi drivers I encountered were much friendlier, although there was another one that tried the cash only thing, saying his machine was broken. When I asked for a receipt, suddenly his machine was fixed. One taxi driver said I was hot, and wanted to fetch me with his personal car the next day to take me around the city. When I told my son, he said "Don't do it Mom. Remember Dexter. He came from Miami." In France we found the waiters to be extremely rude. But on a return visit, they were exceptionally friendly. So even though the rudeness of some locals might be disturbing at the time, you have to balance it with the friendliness and helpfulness of others you meet. I guess in busy holiday seasons, one can get easily annoyed with tourists asking the same questions, making the same silly comments. And there will always be taxi drivers ready to take advantage of tourists whom they might view as easy money. I guess we just have to accept that encounters with rude people are just a part of every holiday.